Chocolate and caramel are always a winning combination in my house! 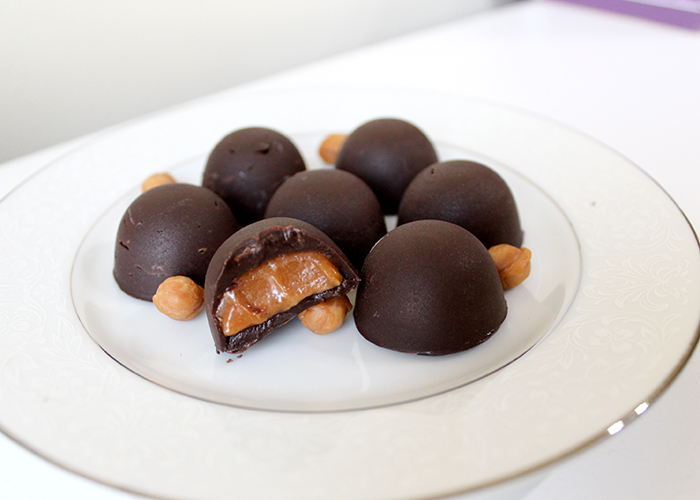 Today I’m showing you how to make these Caramel Filled Chocolate Truffles with only 3 ingredients! 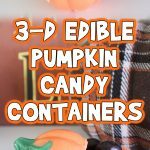 I love making candy for my family, and it’s super easy to do if you just have the right supplies. 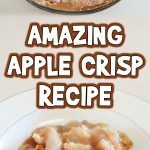 Read below for a step by step, and I’m putting an easy printable version of the recipe at the bottom of this post for you! 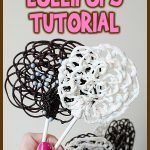 Start by putting some of your chocolate candy melts inside one of your decorating bags. I love these for super fast clean up. Twist the top of the bag shut, and melt it in the microwave at 30 second intervals. Squish and squeeze the bag in between microwave rides, and it should only take about 2 minutes to completely melt the chocolate. Snip the tip off the bag. Next, start putting a small amount of chocolate in the bottom of the mold, and use the tip of the bag to smooth it up the sides. This is where you control how thick you want the chocolate shell to be. You can make it thick or thin, just make sure there are no open spots. Fill all of your mold, and then set it into the fridge or freezer for a few minutes to set up. 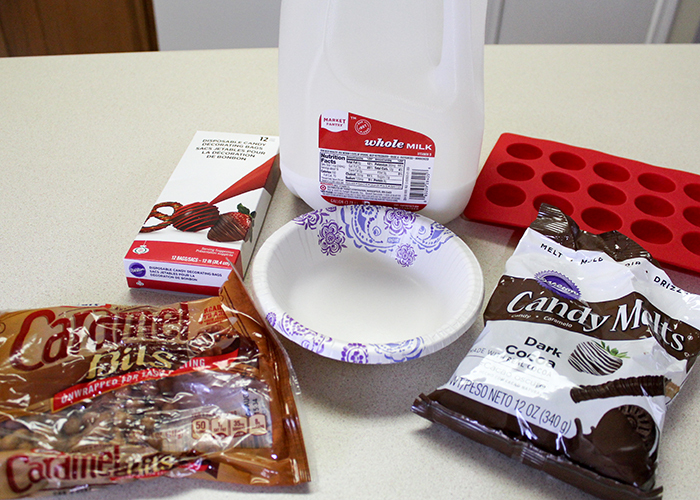 While the chocolate is setting up, let’s get started on making this caramel! Caramel in a candy needs to be a bit softer than solid caramel. So put some of your caramels in a bowl, and add about a 1/2 teaspoon of milk. Start melting the caramel in the microwave at 10 second intervals. Be careful, because it gets very hot quickly. Stir it well, and after it’s melted let it cool down a bit. Test the texture. 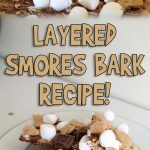 If you want it softer, add a tiny bit of extra milk, heat it up, and mix it in. This isn’t an exact science, so just play around with it! 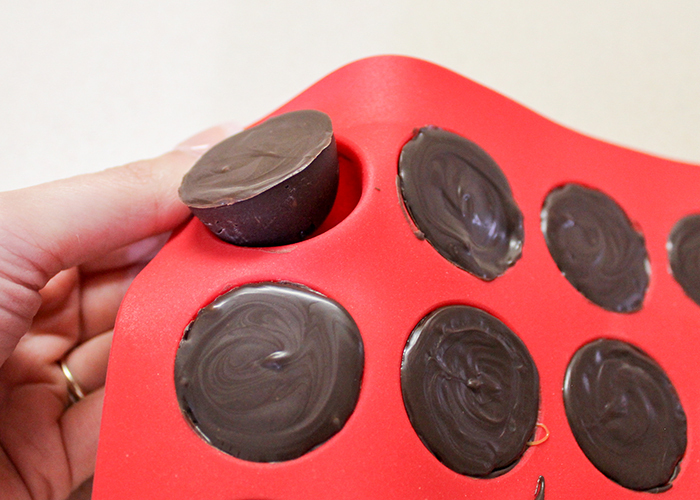 When your chocolate in the mold is nice and firm, go ahead and take it out of the fridge. Make sure your caramel is warm enough to work with. 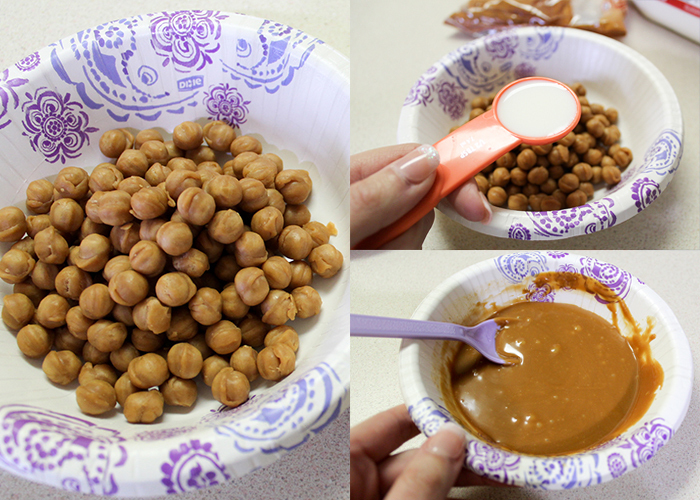 Take a normal spoon, and fill each of the molds with the warm caramel. 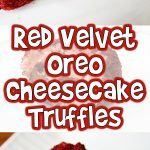 Don’t fill them all the way to the top, because you’ll need space to put a bottom on our truffles. Set this back in the fridge for a while to let the caramel cool completely, about 15-20 minutes. Warm up your chocolate in the microwave again, and bring out the chilled truffles. 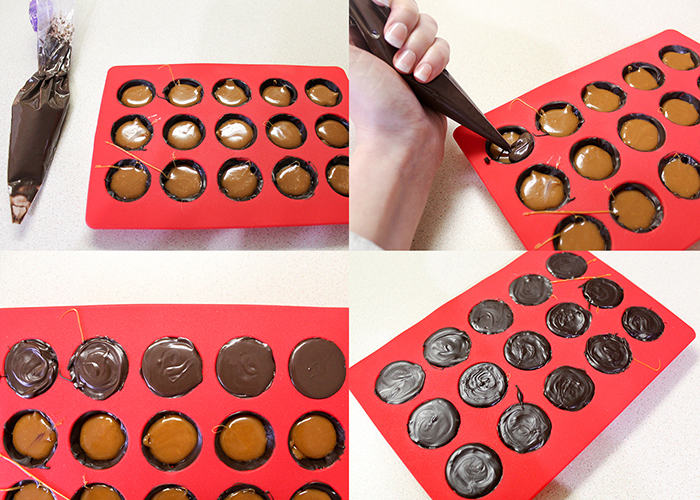 Pipe the warm chocolate on the top of the truffles, covering all the caramel completely. For a more rustic look, let the chocolate settle naturally. If you want a smoother finish to the bottoms, tap the mold gently against the table to help the chocolate smooth out before it hardens. Cover all the truffles, and pop the mold back in the fridge. Once the tops are hardened, gently pop them out of the molds. Let the truffles come to room temperature for about 30 minutes before serving so the caramel is nice and soft. These can be stored on the counter like any chocolate candy. Enjoy your Caramel Filled Chocolate Truffles! These make great gifts, and are a perfect first recipe for a beginner chocolatier. Chocolate and caramel are always a winning combination in my house! 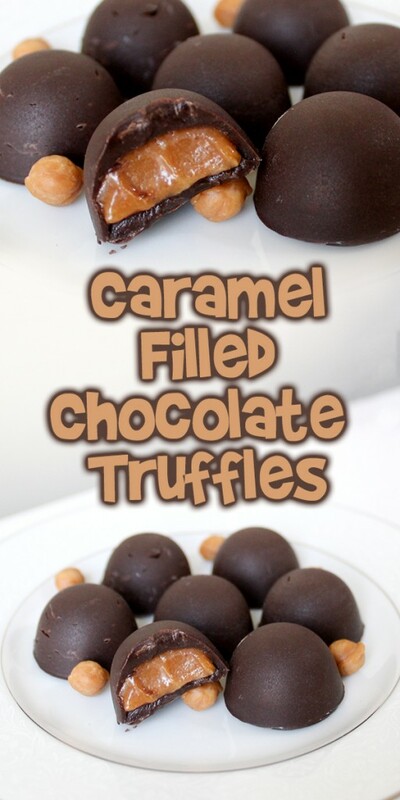 Today I'm showing you how to make these Caramel Filled Chocolate Truffles with only 3 ingredients! 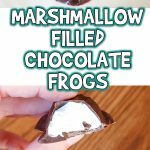 I love making candy for my family, and it's super easy to do if you just have the right supplies. Put a handful of candy melts inside your decorating bag. Twist the top of the bag shut, and melt it in the microwave at 30 second intervals. Squish and squeeze the bag in between microwave rides, and it should only take about 2 minutes to completely melt the chocolate. Snip the tip off the bag. 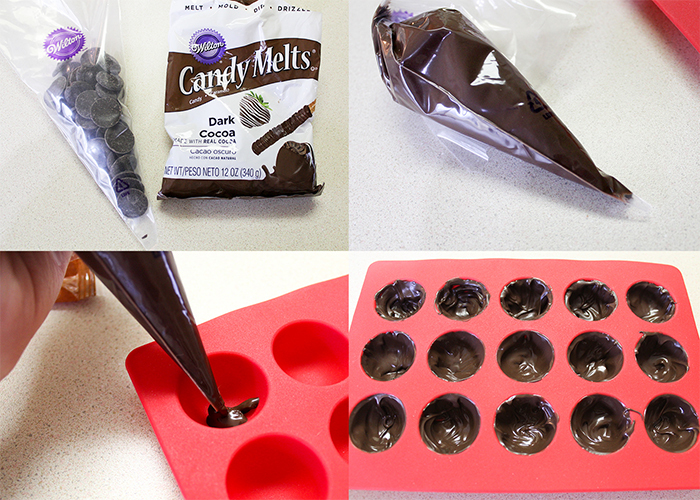 Put a small amount of chocolate in the bottom of the mold, and use the tip of the bag to smooth it up the sides. This is where you control how thick you want the chocolate shell to be. You can make it thick or thin, just make sure there are no open spots. Fill all of your mold, and then set it into the fridge or freezer for a few minutes to set up. Put some of your caramels in a bowl, and add about a 1/2 teaspoon of milk. 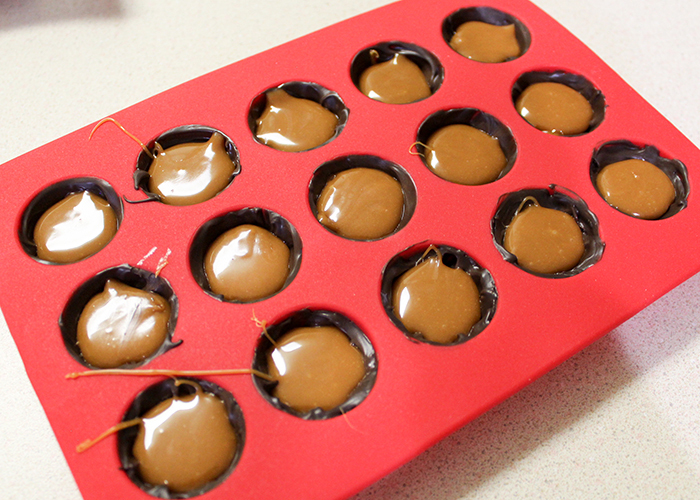 Start melting the caramel in the microwave at 10 second intervals. Stir it well, and after it's melted let it cool down a bit. Test the texture. If you want it softer, add a tiny bit of extra milk, heat it up, and mix it in. When your chocolate in the mold is nice and firm, go ahead and take it out of the fridge. Make sure your caramel is warm enough to work with. 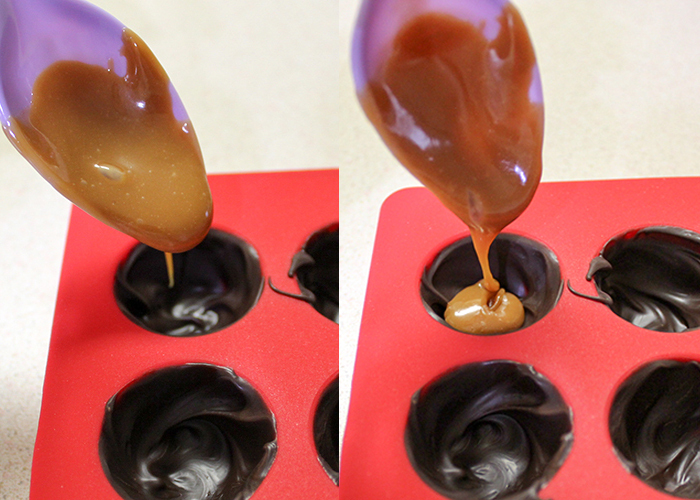 Take a spoon, and fill each of the molds with the warm caramel. Don't fill them all the way to the top, because you'll need space to put a bottom on our truffles. Set this back in the fridge for a while to let the caramel cool completely, about 15-20 minutes. Warm up your chocolate bag again, and bring out the chilled truffles. Pipe the warm chocolate on the top of the truffles, covering all the caramel completely. For a more rustic look, let the chocolate settle naturally. If you want a smoother finish to the bottoms, tap the mold gently against the table to help the chocolate smooth out before it hardens. Cover all the truffles, and pop the mold back in the fridge.